Today, Jan 23, 2014, I am sending the final chapters to my editor. She is a fireball, so I expect the book, which is the first in the Sam and Jan Jordan Series, to be published within the next few weeks. 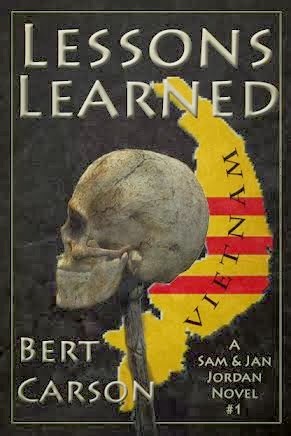 Lessons Learned is a contemporary story of men and women who fall back on the combat lessons they learned in Vietnam when they fail to make a smooth transition from soldier to civilian. I am going to record Lessons Learned for Audiobooks. In preparation for that, I'm learning the art of narration by recording each chapter of the book. They are posted below. Feel free to listen and share your comments.